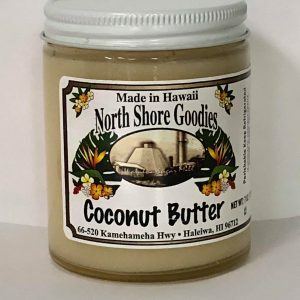 Consisting generally of ground up pickled plum, salt and sugar, li hing powder is a favorite of Hawaii’s locals. Its unique salty/sweet flavor is popular as a flavoring on a variety of fruits and candy. 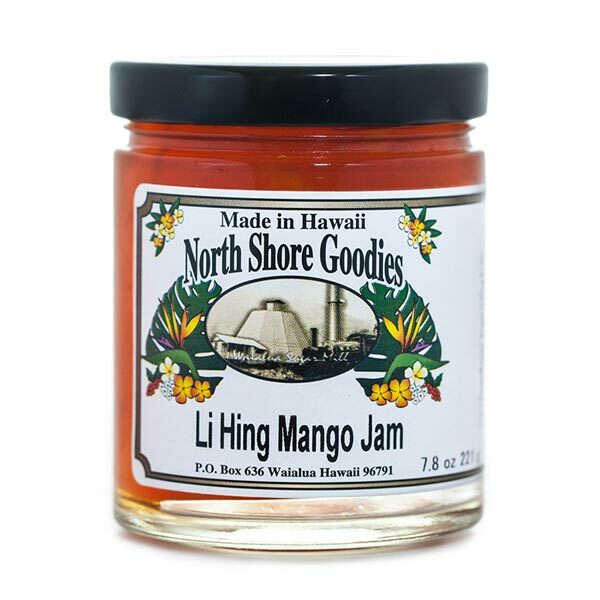 People in Hawaii love to sprinkle it on mango, so creating Li hing Mango jam was a no-brainer. 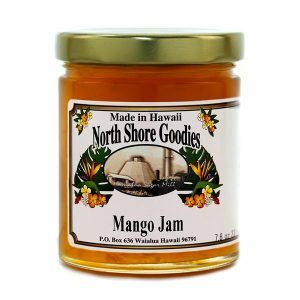 Our Li hing Mango jam is made with mango, sugar, li hing powder and pectin. Its amazing flavor makes for a truly unique user experience. 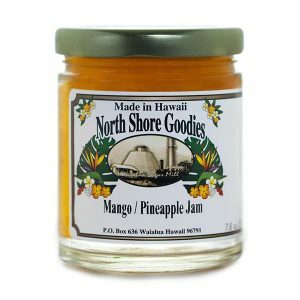 Great on items you would normally use jam, but especially nice with cream cheese or ice-cream. 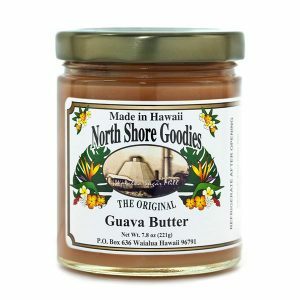 An island favorite, especially with the keiki (kids).